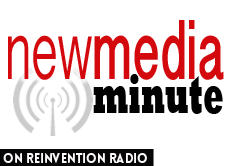 New Media Summit Icon of Influence, JV Crum from Conscious Millionaire, joins the Reinvention Radio Crew for a discussion on mobile apps and apps used to publish podcasts. Mobile apps are definitely one of the largest ways to consume new media. JV shares a new podcast directory.